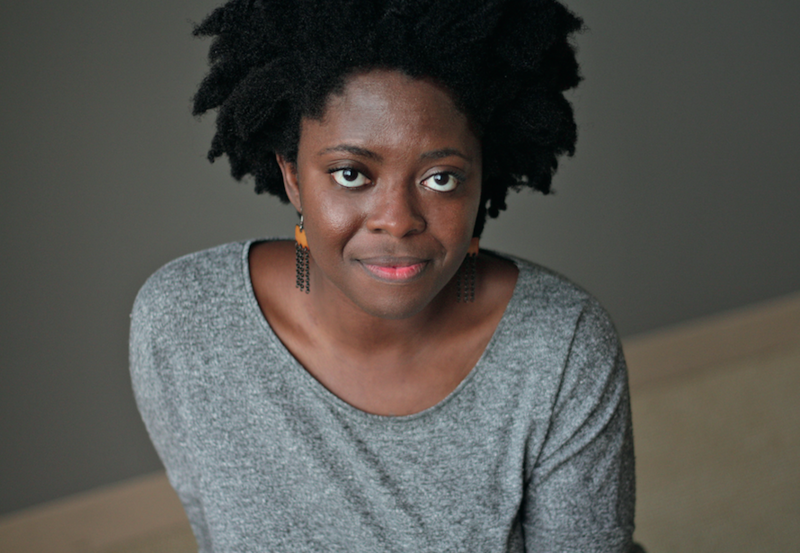 Yaa Gyasi, a Ghanaian writer, is the author of the critically acclaimed debut novel Homegoing. The book tells the story of two half sisters, Effia and Esi, each born in 18th-century Ghana, among slavery and warfare. In the novel, Ms. Gyasi presents her readers with two distinct storylines. We follow Effia and her descendants as they remain in Ghana and learn to navigate the conflict in their homeland; and we see as Esi and her children migrate to the United States. I spoke to Ms. Gyasi on the phone about her novel and the inspiration behind it. At your reading in New York City, you described “feeling really displaced growing up.” Can you talk about your background and this idea of displacement felt by immigrants? I was born in Ghana and then we moved to Ohio, Illinois, Tennessee and Alabama. I think that feeling of displacement came not just from leaving my native country but from having moved around so much, which is in and of itself destabilizing. But it’s also one of the reasons I became a big reader, which is the reason why I became a writer. I think any immigrant probably knows the experiences of trying to straddle two different worlds: the world of their home country and the world of the country that they have emigrated to. Homegoing is your first novel. What sparked the desire to write? And what was the inspiration behind your debut novel? I still think of writing as an extension of my love for reading. I read a lot as a child, probably more than I did anything else. I really, really loved reading, and pretty early on for me, I wanted to see if I could do the things that I was seeing other people do in literature. So, I started writing, also, at a very young age. For Homegoing, I took a trip to Ghana in 2009. I had gotten a research grant from Stanford University, where I did my undergraduate degree, to travel and do research for a novel. It was on that trip that I took a trip to the Cape Coast Castle for the first time. I took the tour and learned for the first time about things like the British soldiers marrying the local women. I was immediately struck by these things and knew that I wanted to write a novel that kind of centered around that place and that practice. At your reading, you described how often many of the narratives on slavery in Ghana and other parts of West Africa you encountered were written by white men, adding that through your own writing, you hoped to “lend a voice to a group of people whose experiences haven’t really been talked about outside of a white lens.” Can you elaborate on this? I was really struck by so many of the things I learned on the tour...just getting to stand in the dungeon and think about what these people had gone through, people who had to stay in the dungeons for three months at a time. It really struck me that to get that kind of information, that kind of experience, you shouldn’t really have to take a trip to Ghana, to a castle. I wondered why I hadn’t heard more about it or read more about it. But then when I finally did start researching more deeply, I noticed a kind of absence in a lot of the books that I was reading. There was an absence of the perspective of Ghanaians or West Africans about this time period, the people who had been in the dungeons, the people who had been married to these soldiers. I realized that their voices didn’t really appear in a lot of these texts. I wanted to, through fiction, give them an opportunity to tell their stories. Writing, any kind of writing, can always be challenging, especially, I’d imagine, when it’s your first novel. What was the biggest challenge you faced writing Homegoing? There was a chapter that I had a lot of trouble with. It was the third chapter of the book, Quey’s chapter. Initially it took place in England, and [Quey] is the son of the British governor of the Cape Coast Castle and his Fante wife. I knew that unions took place, and I knew that sometimes the children from these unions would be sent to England for school. But beyond that, I had a really hard time finding enough information to make me feel like I was ready to write the chapter. That was the first time I felt really stifled by the research. And I suppose that’s the hardest part, when the research feels like it’s hampering your imagination and not bolstering it. What do you hope audiences, particularly those who are not as comfortable discussing issues like slavery, take from Homegoing? What I hope that readers feel and realize after they have read this book is that all of these things in our history, these really traumatic moments, things like the Holocaust or the slave trade, they happened to individuals, to people. These were people just like us, people who had the same kind of hopes and dreams and fears that we have. I hope that this book really makes intimate and personal the stories of people who have had to deal with the legacy of the slave trade in some way. Accounts I have read claim that there are more people living in slavery NOW than there has ever been.